An explosion of taste! 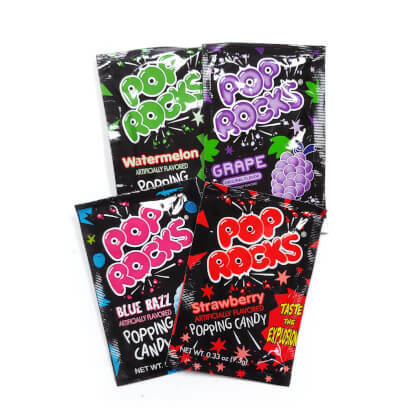 This longtime favorite popping candy comes in a variety of flavors. .37 oz. 3 packs per order. Available flavors include Blue Razz, Strawberry. We are temporarily out of stock of grape and watermelon.